BBC Charity Fundraiser, Children in Need, has broken yet another record! 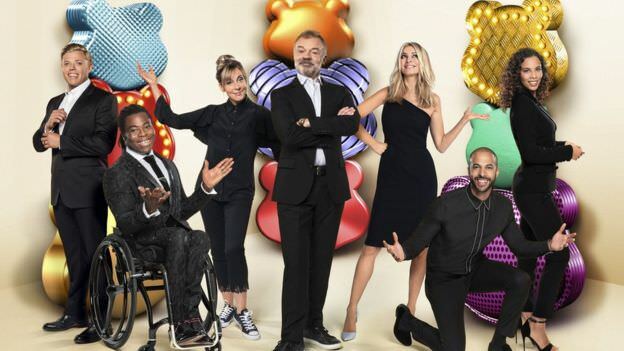 The annual fundraiser, Children in Need, hosted by the BBC has closed the curtains for yet another year and has continued in the same fashion as it has continued to smash the records that they have set for themselves since their initiation in 1980. This year, they did not only raise £50,595,053 on the night which surpasses their previous record of £50,100,000 but have also finally broken the milestone of £1 billion raised since 1980. The 5-hour show managed to feature many celebrities, some of which who had been constant contributors towards the event such as JLS star Marvin Humes and some people who had not been featured in the show before such as the new actor in 'Doctor Who', Jodie Whittaker. It also featured shows such as 'Strictly Come Dancing', 'Mastermind' and 'EastEnders'. The show opened with an amazing performance from the cast of the musical, School of Rock. The tradition was also followed as Tess Daly opened the show with Ade Adephitan and other hosts included Graham Norton, Mel Giedroyc, Rochelle Humes and Rob Beckett. During the show, there was also a tribute to the late Sir Terry Wogan, one of the first hosts of the show and a regular main presenter for 30 years, and an award called the 'Fundraiser of the Year' was awarded to a member of the public, who had constantly been doing Children in Need fundraisers. Sir Terry Wogan died in 2016 and the Children in Need hosts vowed to keep his 'good work' going. Boyzone also made an appearance on the Children in Need episode of Strictly Come Dancing, whilst the cast of EastEnders chose to perform a medley of Disney songs. Radio 2's Chris Evans hosted his annual auction of 'one in a lifetime events' and despite leaving Radio 2 following Christmas, he has managed to raise £44,000,000 in 8 years. did you watch last night's show?